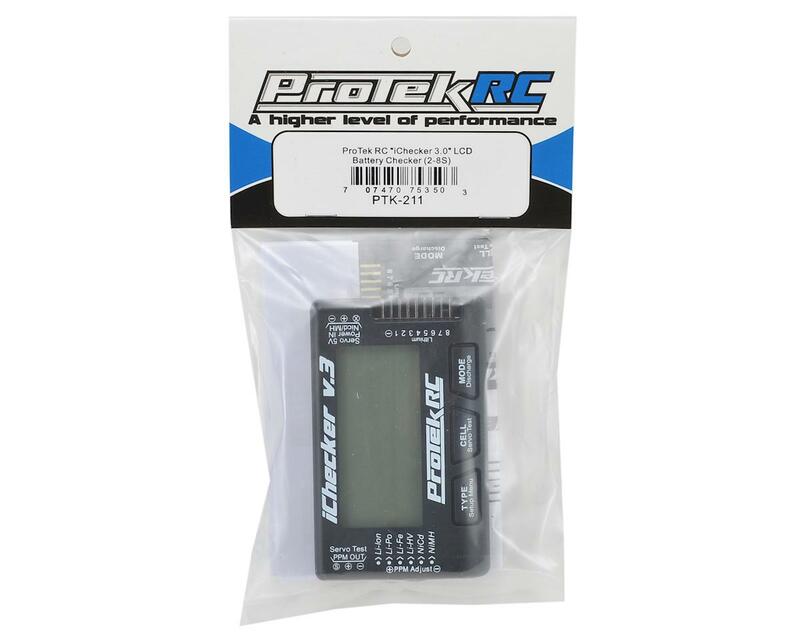 This is the ProTek R/C "iChecker 3.0" LCD Battery Checker. 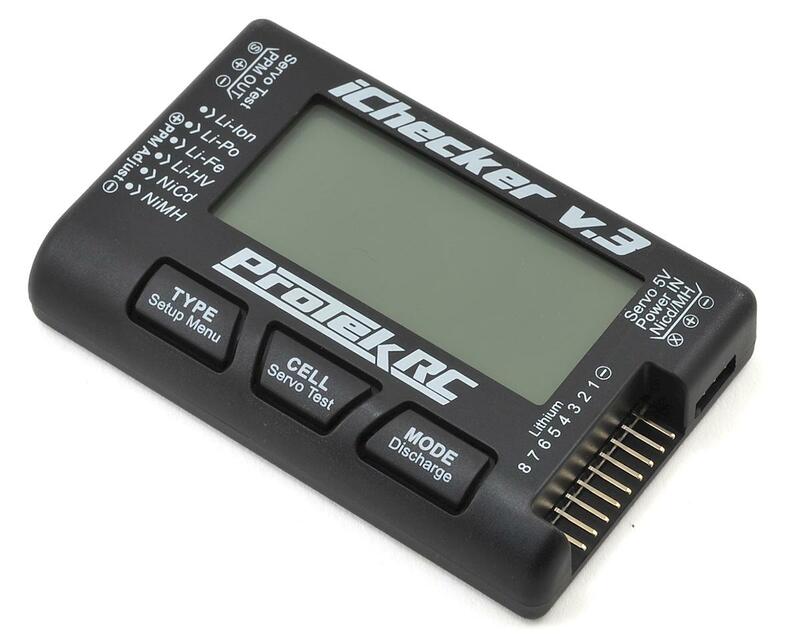 The "iChecker 3.0" provides you with an affordable way to monitor the condition of your batteries and allows you to easily see the total voltage, capacity, individual cell voltage, lowest & highest cell voltage, as well as the voltage difference between cells on 2S to 8S Lithium batteries with a simple tap of the buttons. The "iChecker 3.0" is also great for monitoring the total voltage of Nickel chemistry batteries from 4 to 8 cells, testing servo operation, and testing ESC operation! With an "iChecker 3.0" in your toolbox, you'll never have to question the condition of your batteries ever again. NOTE: This unit is compatible with 2-8S JST-EH and JST-XH battery balance connectors. Batteries that use Thunder Power/Flight Power, or Polyquest type balance connectors will require a balance adapter board and cable. I use this not only for field checking batteries, but also after I charge/discharge them @ home to verify my charger display is being honest with me. It is also easy to check individual cell voltage levels (unlike my charger).